DDC HSN-2000 radiation-hardened Hybrid Nuclear Event Detector (NED) senses ionizing radiation pulses generated by a nuclear event, such as the detonation of a nuclear weapon, and rapidly switches its output from the normal high state to a low state with a propagation delay time of less than 20 ns. 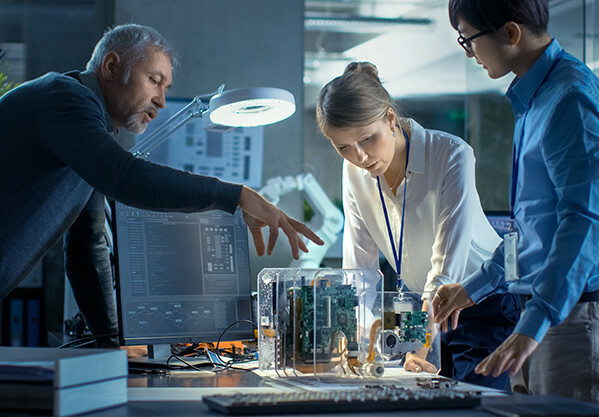 The active low Nuclear Event Detection signal (NED) is used to initiate a wide variety of circumvention functions, thus preventing upset and burnout of electronic components. The NED output is also used to initiate both hardware and software recovery. This highspeed, 14-pin hybrid detector is used in electronic systems as a general-purpose circumvention device to protect memory, stop data processing, and drive power supply switches as well as signal clamps. The HSN-2000 is designed to operate through three critical environments: ionizing dose rate [1012 rad(Si)/s], gamma total dose [106 rad(Si)], and neutron fluence [5 x 1013 n/cm2]. In addition, the device is designed to function throughout the transient neutron pulse. The hybrid discrete design ensures a controlled response in these radiation environments as well as immunity to latchup. The detection level and functionality of a sample of each HSN-2000 production lot are tested in an ionizing dose rate environment. A certificate is provided reporting the test results for the production lot. 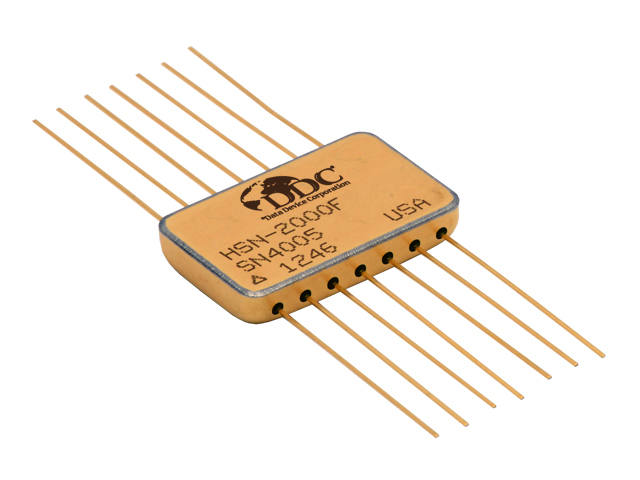 The detection threshold of the HSN-2000 is adjustable within the range of 2 x 105 rad(Si)/s to 2 x 107 rad(Si)/s. This detection level can be preset by DDC or adjusted by the user. Less than a 30% variation in detection threshold can be expected over the entire operating temperature range.